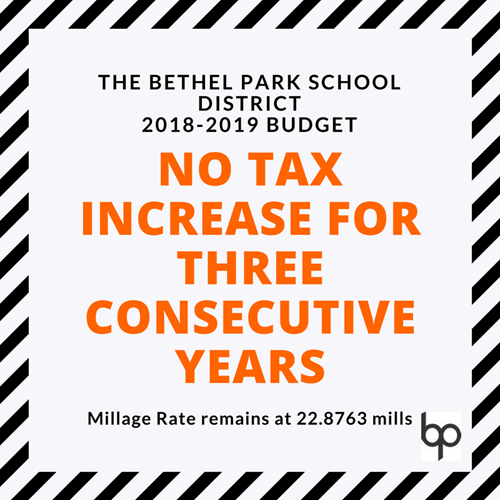 The Bethel Park Board of School Directors passed the 2018-2019 school year budget at its May 22, 2018 Regular Meeting. The Budget is $86,993,312 and the Millage Rate is 22.8763, which reflects a zero millage increase for the third consecutive year. Please click here to see the 2018-2019 budget.